A friend has released an album! Some time ago I mentioned a trip to KL to help a friend with his Music Video. 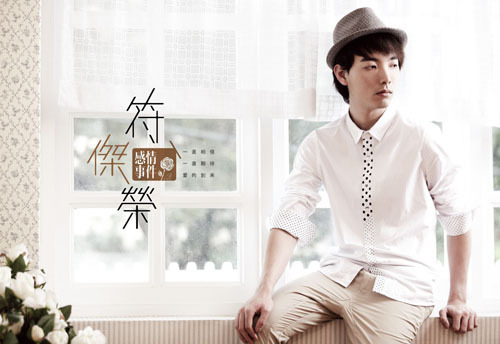 Yup, he's the one - Fu Jierong (符杰荣, for those who can't read 繁体). We only looked the way we did because the flight to KL was at 7? Meaning 5ish in the morning, (I didn't sleep at all) I had to be at the airport. It was excruciating, having to be up and about, WORKING at that hour when I'm supposed to be heading to bed. -.-"
Why am I always getting myself into early morning flights??? So he's not your idol-ish super handsome singer. But he can sing, and is sincere and genuine, and most of all, PASSIONATE, about singing. Just that alone is enough to make me supportive as a friend. After all, I know what it's like to go for my dreams - not easy. Ariel!!!! I mentioned her in my Durian Buffet post. Known her for YEARS!!!!! And she still looks the same. God, you must make sure I look the same, or better, 10 years down the road okay? Makeup for my scarred legs. Do not question the existence of the banana when you see the actual MV. Everyone else, other than the director, was wondering about the relevance of the fruit in the bathroom. This was the MV for 我以为. You might have heard the song on radio 933...the song's super catchy. I heard it once and immediately I knew how to sing the song. Let's help vote him into Yes 93.3fm's Top 20. Get your iWeekly and find the voting coupon, write down 符杰荣 - 我以为 as the song you wish to nominate, and mail it to Yes 93.3. Voting is only counted if the votes reach 933 between Mondays to Thursdays. Votes that arrive after that will be forfeited. Let's hope he makes it into Top 20, so that the music industry will notice this singer-teacher who dared to dream. I can't show the MVs yet as Taiwan as exclusive 全球首播. If you like his songs, remember to vote for him yah? 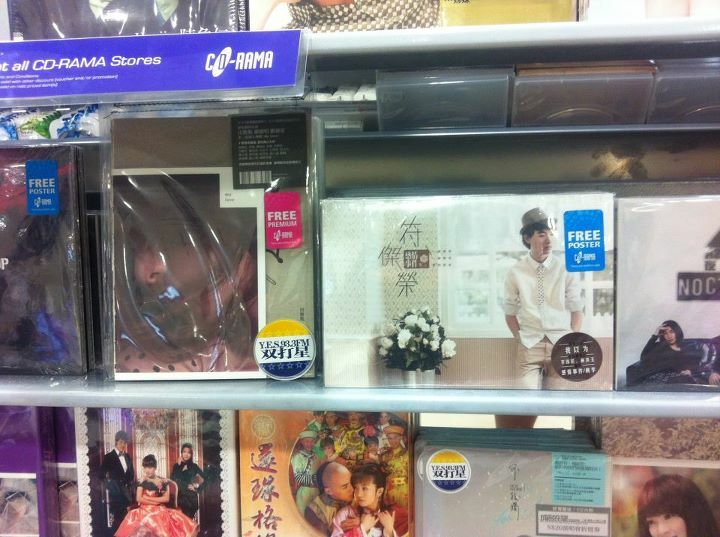 And yes, his album has been released on the 1st September, and is available at all CD-Rama outlets! Support!